I recently went to watch Avatar on an IMAX screen in 3-D, but I won’t be reviewing that movie in this post. That’ll come later. 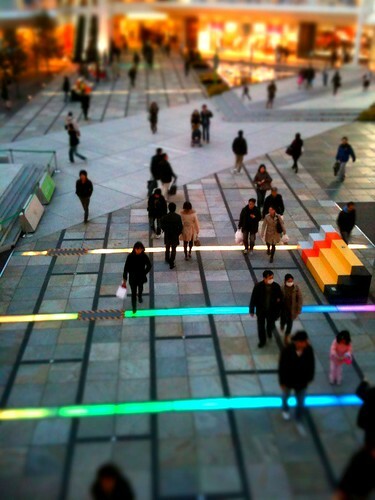 Instead, I want to share some pictures I took of LaZona, the shopping center the theaters were in. 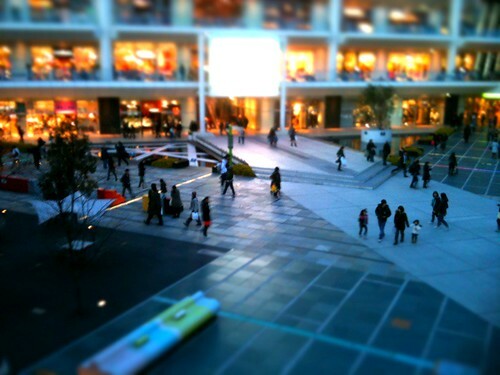 It’s the second highest earning shopping mall in Japan. Only Narita Airport beats it. That’s pretty remarkable, since it’s in the suburbs, in Kawasaki city. Although, Kawasaki is a pretty big city in its own right. I thought that more famous shopping centers in Tokyo, like the soulless and labyrinthine Roppongi Hills or the subterranean Omotesando Hills would be up there. But it’s a suburban mall that beats them both. I have to admit that I was impressed with the design. The central feature is an outdoor oval plaza with a stage, water features and funky mood lighting. The circulation patterns are intuitive and it was easy to view at one glance all the shops and restaurants around the three floors of the rotunda. There was a more conventional layout for the indoor part of the mall. It was family friendly and spacious. Despite being in the suburbs, the restaurants were as stylish and hip as any in central Tokyo. 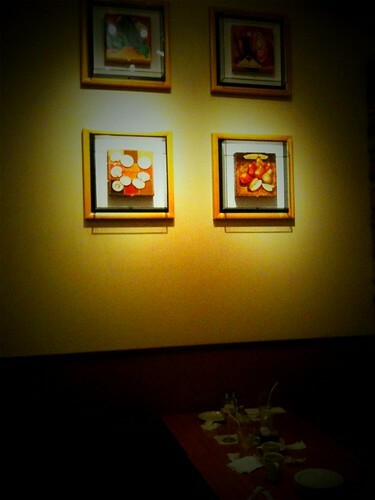 We had dinner at this place called California Pizza Kitchen. The decor was very authentic, reminding me of the West Coast. Even the pizzas had the fluffy lightly crispy crust that Left Coasters love, without any of the locally adapted nonsense like the copious mayonnaise that Japanese slather on their pies. Also, I appreciated the free refills of their fruit lemonades served in big glass tumblers. Americans like to hydrate. A movie on IMAX and some home cooking. I’m definitely going back. Thank you for this coolpost.